She Said, she said: "Momager"
Ever since she was a little girl, I already sensed that my daughter was going to be in the performing arts. Beginning at age 5, she was into dance, music and acting lessons. She spent most of her summers in workshops and performing in recitals. I was feeling nostalgic today and look what I found! My best Throwback Thursday photo to date. 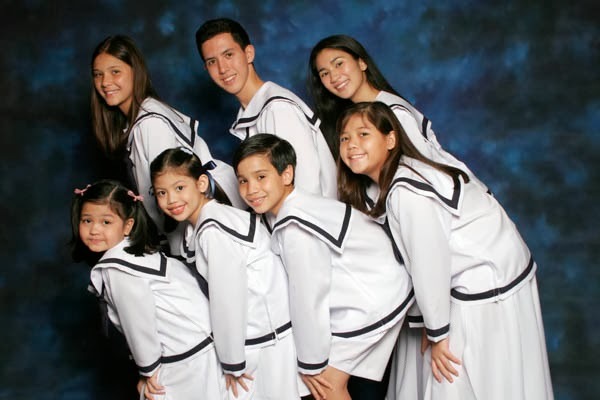 Repertory Philippines' 2006 restaging of The Sound of Music. My daughter, Bianca (second from left, first row), played the role of Marta Von Trapp. Repertory Philippines very first production of Rodgers & Hammerstein's The Sound of Music was way back in 1980. The original cast included then nine year old Lea Salonga and Monique Wilson, years before their Miss Saigon fame. In 2006, Repertory Philippines' Ms. Baby Barredo held open auditions for children to be cast as part of Rep's restaging of this well loved musical. My daughter was fortunate enough to be given a chance to audition and eventually got the role as one of the Von Trapp children. I accompanied her to all her rehearsals and hung out with all the moms of the other children in the show. The show ran for an entire month, and I watched every single show she was in, acted as her personal assistant, make up artist and manager, so my daughter fondly called me and still up to now calls me her "Momager". She was only 8 years old at that time and since this was her first professional performance, I was wary to leave her with just anyone. She was blessed to have the unique opportunity to perform along side theater veterans and an entire cast of talented performers. She learned discipline and professionalism along with the value of hard work and experience which certainly built up her confidence. 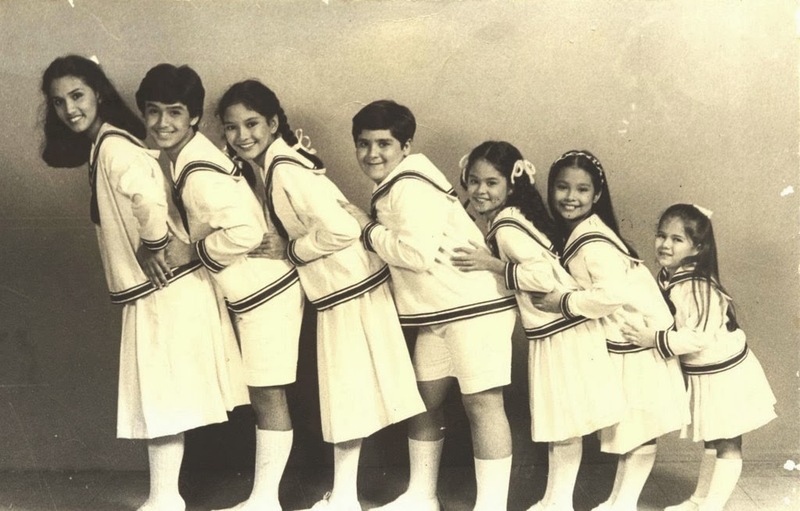 Repertory Philippines' production of The Sound of Music circa 1980. Cast members- Menchu Lauchengco Yulo, Raymond Lauchengco, Risa Hontiveros Baraquel, Javier Arriaga, Monique Wilson, Lea Salonga, Angela Adams. She hasn't slowed down on performing since then. She's at least in one show (school production or otherwise) every year. I'm more relaxed now that she's older. I don't go with her to rehearsals anymore but I make sure I pick her up when it ends late in the evening. And, I watch only on the opening night instead of all the shows.